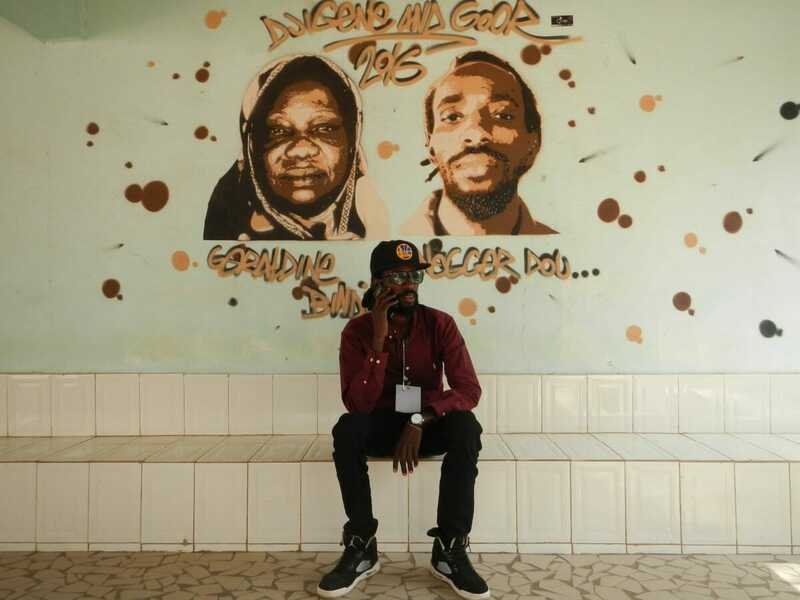 The temperature just spiked to 100 degrees in downtown Tambacounda, and Eastern Senegal’s most famous rapper is working the desiccated streets like a politician on a walkabout. He is wiry thin in black jeans, a burgundy button-down and Wayfarer-style sunglasses, beatnik cool in scorching heat. People holler pleasantries at the man known as Negger Dou Tamba, Neggadou or just Dou: superstar, activist, zealous urban farmer. His first project began in the house where he lives with his extended family, including his mother, wife and three children. At the end of a cul-de-sac, flanked by a garbage dump on which goats graze, his backyard is an oasis of lettuce, peppers, tomatoes, squash, okra, banana, avocado and guava trees, as well as a chicken coop. “You probably won’t see Jay-Z doing this,” he jokes, lowering a bucket into his well. The venture is called Terra Nostra (Our Land), and the aim is to reap financial and health benefits from the soil, as well as spiritual ones. In a corner of his garden, he and his friends share a platter of thieboudienne, the traditional Senegalese dish of rice, fish and vegetables. Though cheerful, Dou is visibly exhausted. “Everyone is counting on me,” he says, waving a forkful of butternut squash. “This is my fight, but it isn’t easy work.” He needs money to build wells and pumps to draw water from the ground in blistering Tamba. One of his talents is an ability to communicate with people in power. At a meeting with Tambacounda’s governor, El Hadji Bouya Amar, the two men chat about security for the Festival of Unity, a two-day cultural event conceived by Dou to celebrate agriculture and the 13 ethnic tribes residing in Tamba. “His battles are our pleasure to work on because he wants to create opportunities here,” says the governor. As he goes for the soul of Tambacounda, people are listening. 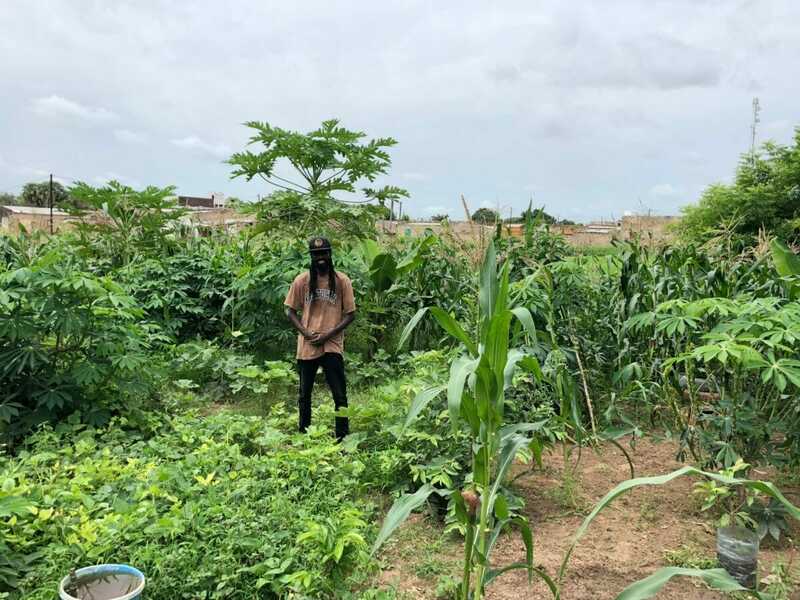 Dou has taken his concept to Dakar and is attempting to lead other members of the hip-hop community to reap the benefits of their land as a parallel form of expression. In Tamba, four other rappers are on board with their own urban gardens. Near his home, a boy’s religious school, inspired by Dou, is busy cultivating a new green space. GREAT and inspiring article – thank you! Interesting. But a long way to go. For example who owns the land? Who reaps the benefits? Farmers everywhere are the bottom of the food chain, to get ahead means not farming! The French system makes it worse, get an education, to get a government job. Water is always the first ingredient in a prosperous garden. Digging a well and the power (wind or solar) to pump the water is a challenge. Solving this would seem to be the first step. How can this be done? So long is public corruption is the state religion in all African nations, nothing will improve. When it comes to the islamist movement a people’s, it is not a migration, it is an invasion. I studied the Quran for 12 years and the Hadith for 9 and what is happening is indeed an invasion According to Islamic Doctrine, not on migration. Pull off the left wing blinders and open your minds to empirical evidence! Farming in Africa is very difficult because we lack modernfarmer tools. If Africa government and Africa Agricultural bank can stop the bureaucracy in the access to modernfarmer tools like as it is relaxed in the western world, the Africa youths will be encourage to farm and it can -really- stop – -the -Africa – migration – system. But not with old school farming system that is so difficult . How many government jobs are to be had?It is their land they are working on. If not them, who? Other colonizers who will steal and enslave them. The Chinese are getting very involved in Africa so I hope for the best in the farming industry along with education. Good for you young man. I hope you contact the Savory Institute in Zimbabwe. They can help you with your indevors.